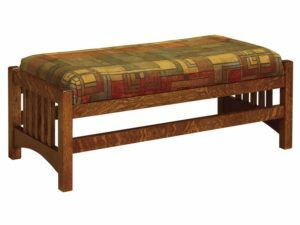 Footstools and ottomans should perfectly complement your chair or sofa, plus be comfortable and sturdy. 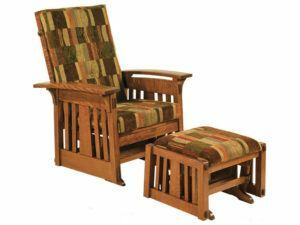 And the pieces below from Brandenberry Amish Furniture fulfill all this and more. Amish artisans build them all. So they’re far superior to what you’re likely to find elsewhere. 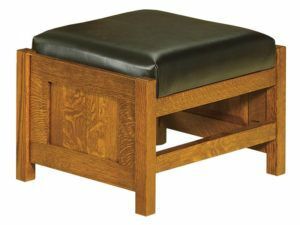 Beautiful woodwork highlights the Bow Arm Panel Morris Footstool. 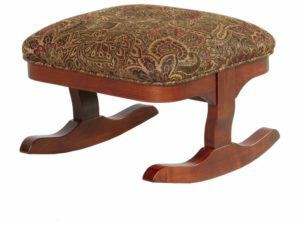 Add this Bow Arm Panel Ottoman to your Panel Glider, then kick your feet up and relax. 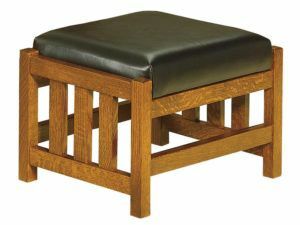 Durable construction and classic design meet in the Bow Arm Slat Morris Footstool. 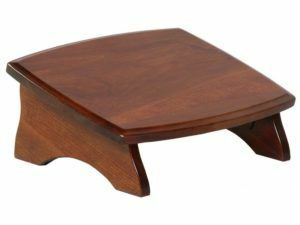 Add this Bow Arm Slat Ottoman to your Panel Glider, then kick your feet up and relax. The Clearspring Slat Morris Footstool features a cushioned brown leather top and wooden frame. 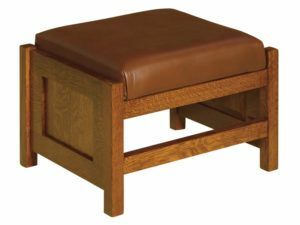 The Cubic Panel Footstool features a cushioned brown leather top and wooden frame. 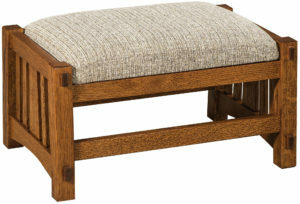 The charming Cubic Slat Footstool features a cushioned fabric top and wood frame. 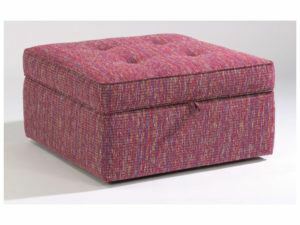 The Daphne Storage Ottoman is both stylish and functional with its cushion top and interior storage space. It is just the ottoman you have been searching for. 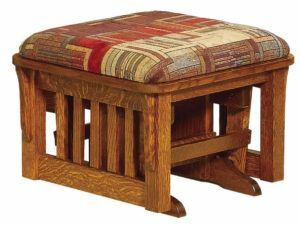 Ease into your chair, kick your feet up and relax with this comfy Durango Morris Footstool. 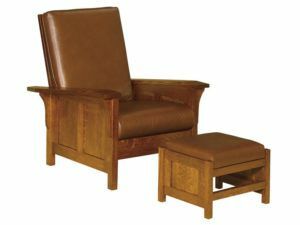 Fine hickory wood accents the Hickory Lodge Ottoman. 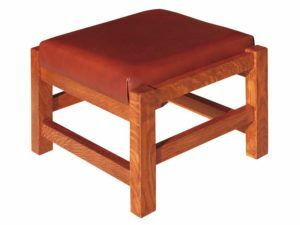 The Little Tod Footstool boasts sturdy construction. 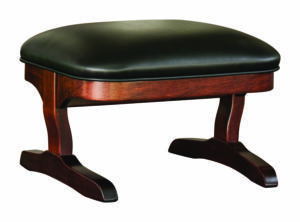 Plush upholstery accents the McCoy Footstool. Plush upholstery accents the McCoy Ottoman. 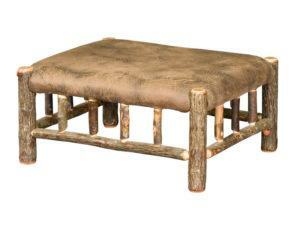 Strength and simplicity blend in the Terry Footstool. 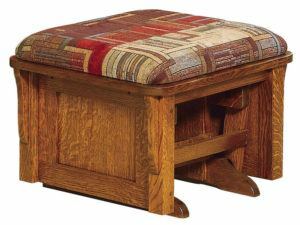 Simplicity and plush upholstery accent the Tommy Footstool. 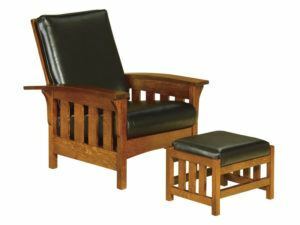 Amish cabinetmakers painstakingly handcraft each footstool and ottoman from Brandenberry Amish Furniture. 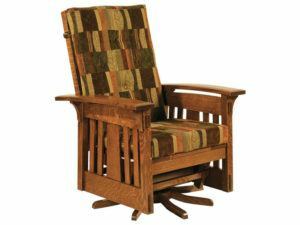 And they use solid hardwoods, like maple, oak, cherry and hickory. Plus premium leather and fabrics. No wonder the units shown above as so handsome! Also, we offer a large selection, as you can see above. So you’re sure to find the pieces that are just right for you. 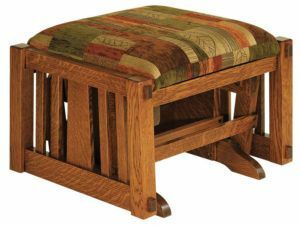 What’s more, you can customize the footstool and/or ottoman that strikes your fancy. 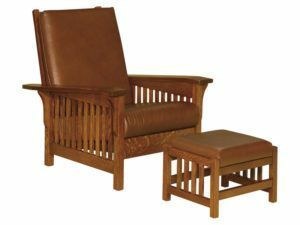 Just tell us the wood specie you prefer and other details. 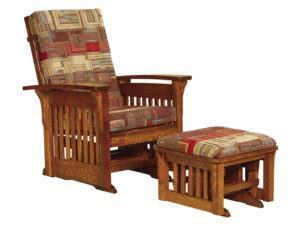 And we’ll build the comfort-enhancing footstool or ottoman you desire.